The old habit of identifying a problem and then immediately attempting to define a solution is a habit that gets leaders into trouble over and over again. Here’s a new model for problem solving. This is a much bigger problem (funny) than it seems. 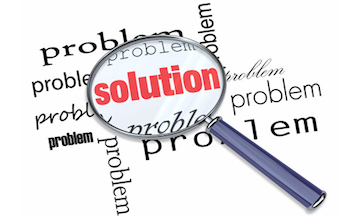 Problem solving is something we don’t do very well as leaders. Many times, we set up problems and don’t solve them. By the way, conductors know how to solve problems…this is not a conductor model, however. Few leaders or teams really understand how to create a process to develop lasting resolutions for problems. I have been a serious student of facilitation for many years. It was a logical segue from being a musical conductor. The basic concept is similar in that the facilitator (conductor/leader) guides a process for a group to function at their highest potential and using the best collective thinking skills. This is not “group think” in which each person caves in to the mandate of the leader without thinking for themselves. One facilitation tool I learned and perfected over 30 years of leading groups is problem solving. I’ll share the concept in this post. It’s difficult, however, to download 30 years of experience into 500 words. This overview will provide a perspective for creating your own process. 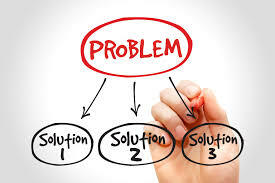 The Problem: A situation is identified…a problem to solve, an opportunity to pursue, a conflict to resolve, etc….and the group wants to identify a solution right away and proceed with implementation. This is a flawed model because there is not a full understanding of the facts on either side of the problem. Is the Problem Really the Problem? If each person in the group is asked to write a definition of the problem, it’s typical that there will be many definitions of what the problem is. The process is flawed from the start because each person is attempting to solve a different problem – the one they see. It’s important to develop consensus on this. Is There an Understanding of Why the Problem Exists? Proceeding with resolution that actually fixes the problem depends on an understanding of the facts. Creating solutions that last is important. This means understanding what problem you are solving. Is There Knowledge of Alternative Solutions? One solution rarely provides a lasting result. One solution rarely encompasses all the issues. Moving too fast to seek resolution might limit the options and keep the right option hidden. Is There a Potential Sequence of Steps to the Result? Defining one step to a solution often misses incremental steps in a process for lasting results. Clearly State the Problem: Get input from the group in defining the problem. Often the perceived problem is not really the problem. Many times the problem is one step back or one level higher than the stated problem. Sometimes there are multiple problems. Therefore, the team might need two problem-solving exercises to fully accomplish its goals. Have the group come to consensus on the exact language that clearly defines the problem. The exact language is essential. Changing one word typically derives two different outcomes. This takes time, however, it will save lots of time…and money…and stress…and relationships…in the long run. List ALL the Parts of the Problem: All means all. Create a comprehensive list. Be open to reviewing and revising the problem statement. Getting this perspective reveals things that people may not have previously been aware of and how it will impact their thinking. Group these ideas by concept, issue, topic, or another definition. Give weight to the items. This way the group sees which ones are more important. List ALL the Potential Solutions: Do not prioritize. Do not judge. Do not limit the options. Once the list is complete, reflect on the list. See if ideas can be combined for strength. See if there is a sequence of steps to define. See if there are multiple phases over time to complete the process. Create the Final Plan: Moving the concepts in #3 above into an action plan, with a champion and deadlines for each, will give momentum and provide a context for accountability. Develop Mechanisms for Accountability: Plan specific, regular check-in times in advance to revise, update, or celebrate together. Regular meetings with purpose automatically create accountability. This is a time for the leader to make corrections and to mentor team members. Now, commit to the discipline it takes to make this process effective – it’s well worth it.